It's time for another challenge at Christmas Card Challenges. This week we have an inspiration photo to inspire you to make a yummy Christmas Card. I was really inspired by the bold red and green and the especially the red tablecloth these cookies are sitting on. 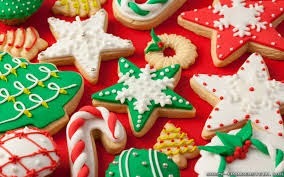 I also love cookies so this picture is right up my alley. I used stamps by Papertrey Ink to make this card. I colored the cookies with Copic Markers in Malachite and Lipstick Red. Then I added Liquid Pearls in White Opal for the sprinkles. I also colored the lid with Copics. Then I added some coordinating papers from Hollyday by American Crafts. The papers were bold and just the colors I was looking for. I hope you will play with us this week. I can't wait to see how this photo inspires you. Thanks for stopping by! Love this card Donna! The liquid pearls as sprinkles is adorable!! Great colour and dimension (those cookies look good enough to eat Donna)! Your paper cookies look good to eat, Donna! I love your creative interpretation of the inspiration photo. Blessings! Yummy! Those cookies do look real, Donna. 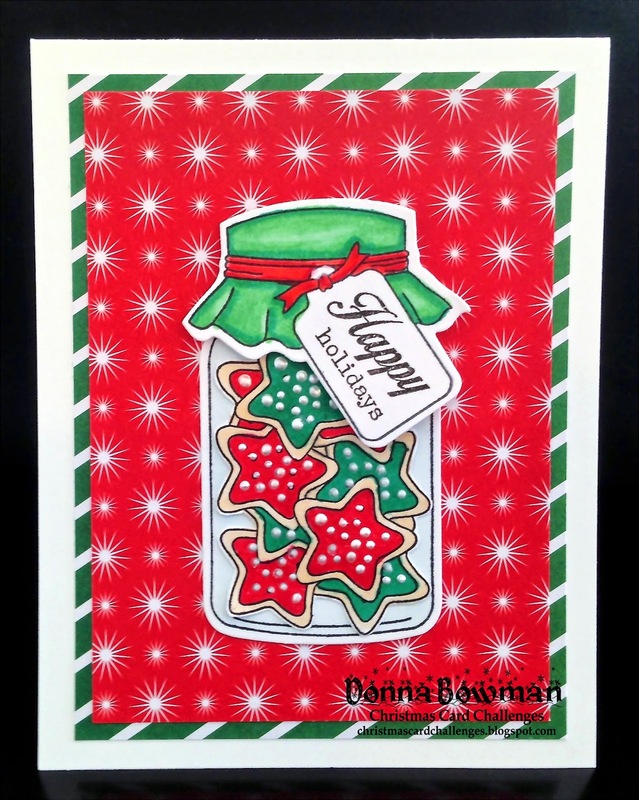 This card is adorable I love cookies in the mason jar they look yummy enough to eat!